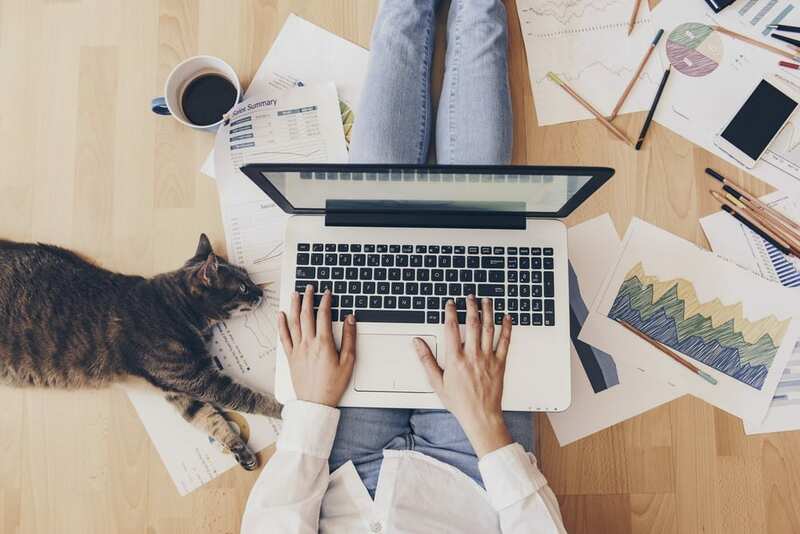 Working from home is a dream for many people— working in your PJs, cuddling up on the couch with a warm cup or coffee, and even doing laundry while you chip away at your 9-5 work day. What more could you ask for in a work environment? 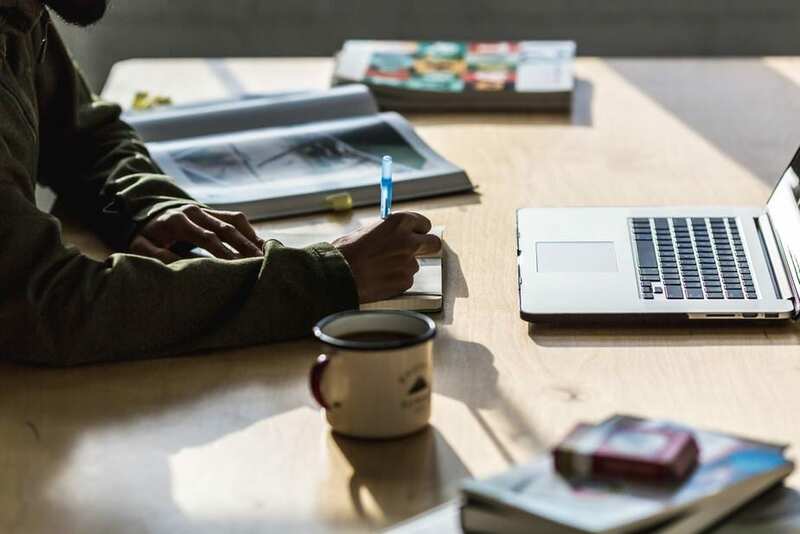 But with the distractions of home life and the constantly lingering desire to take a quick nap break, it can be hard to stay focused and productive when you’re working from the comfort of your living room. So how do you stay on track when you’re so cozy at home? Lucky for you, we’ve done the research for you so you can be more productive than ever! Keep reading for four simple things you can do to foster a better work environment at home. While your couch may be the most comfortable place to review projects, take calls, and complete tasks, it’s probably not the ideal place for you to get the most work done. If you want to stay on top of your productivity goals, it’s important to have the right work setup. First thing’s first— make sure your WiFi and computer performance is up to par with a commercial office configuration. There’s truly nothing that can halt productivity quite like a slow computer and dodgy internet can. After you’ve got a great computer on your hands and strong wifi powering your connection, it’s time for the fun stuff. 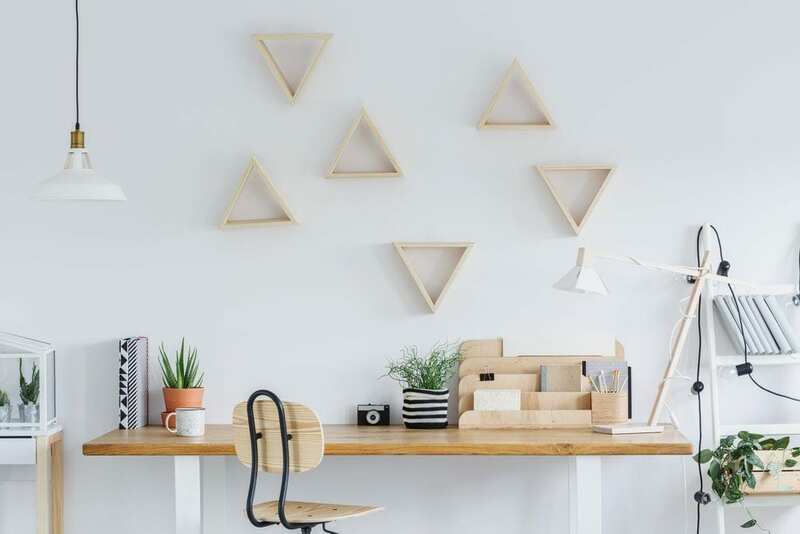 If you have extra space in your house (other than your bedroom) to create a home office, it’s best to create a separate workspace for yourself, especially if you’re working from home on a regular basis. Invest in a functional desk that gives you enough space for a dual monitor setup and has enough drawer space for you to store everything you need to have a productive workday. Add some greenery to your office or desk space! Plants reduce stress, increase productivity, and even provide some health benefits. Short on time? Use The Sill to have potted plants delivered right to your door while you get back to work! This one seems easy— but when you can just roll out of bed and log onto your workspace, sometimes harnessing the motivation to get ready for work can be more challenging than you think. Next time you work from home, try getting up the moment your alarm goes off and hop in the shower right away. Freshen up a bit before you pour your first cup of joe, and change into casual clothes at the very least. You don’t have to go full business attire to work from your home office— just opt for something other than the clothes you slept in. Your boss and your to-do list will thank you. This one goes for the home office and corporate setting alike. Rather than mindlessly eating donuts, random snacks, or Postmates delivery, try and be a little more conscious about what you’re eating. Food is meant to help your body refuel, not slow down. So invest in some snacks that give you energy and help you feel great. Raw Box delivers raw, vegan, and organic snacks monthly right to your door so you can always have delicious and nutritious snacks on hand! And don’t forget about the caffeine! If you’re a coffee drinker, it’s imperative that you have the right coffee tools on your side to help you get through the day. Invest in high-quality coffee beans, a french press, an ironic mug, and you’re good to go. Sometimes you need a little change of scenery to gather a little outside inspiration and boost your productivity. If you’re feeling like you’ve hit a productivity wall, try going for a walk outside or working at your local coffee shop for a few hours instead. And if you think you might get too distracted working outside of your office space, just throw on a pair of noise-canceling headphones and give it a go! Maybe you’ll find it’s not for you, or it could be the solution to your 3 o’clock work blues. It can be easy to slip into a productivity plateau when you’re working from home, but with these simple tips you can pass up your productivity goals like never before.